New Recipe Alert. 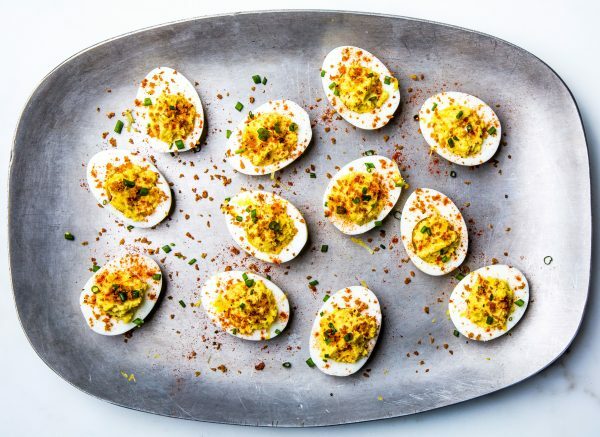 Check out this simple recipe for Not so “Devilish” Deviled Eggs. They are healthier twist on the classic, great for a high protein snack. In a large saucepan, cover the eggs with water and bring to a vigorous boil. Cover the saucepan, remove from the heat and let stand for 12 minutes. Drain the eggs and gently shake the pan to crack the shells. Fill the pan with cold water and shake gently. Add ice cubes and let the eggs stand until chilled. Drain and peel the eggs; pat dry. Cut the eggs in half lengthwise. Carefully scoop the yolks into a bowl. Add the hummus, greek yogurt, mustard, and lemon juice and finely mash with a fork. Season the filling with salt and Pepper. Pipe or spoon the filling into the egg white halves. Garnish with Paprika and serve.